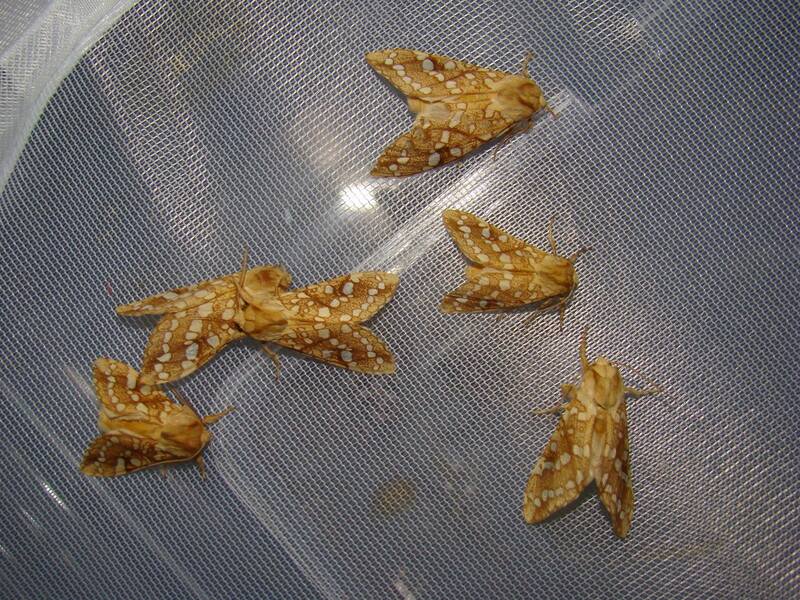 Lophocampa caryae — “Hickory tussock moth” | Welcome, visitor! 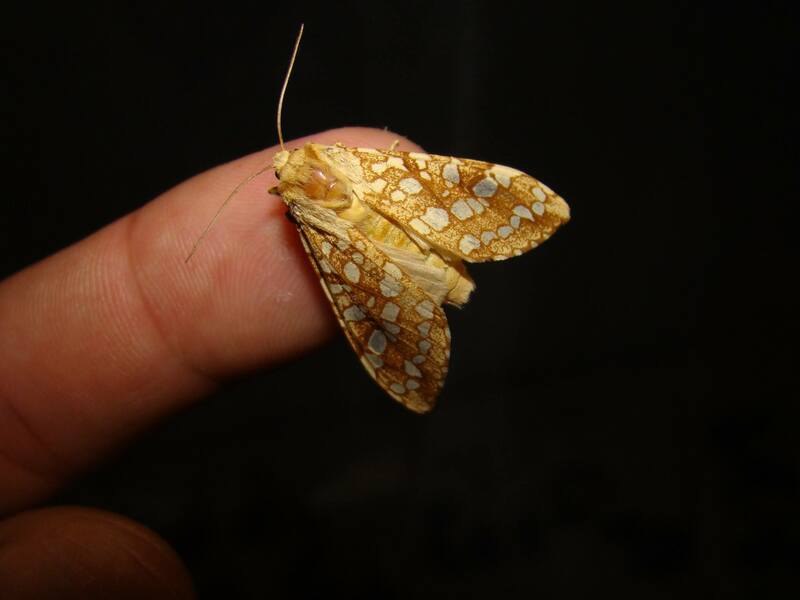 Lophocampa caryae, the hickory tussock moth or hickory halisidota, is a moth you will probably want to breed for the larvae instead of the adult moth. It comes from the more Eastern parts of North America and can be common in some areas. The have charmingly fuzzy white caterpillars that are also highly social and live in groups. Special notes: Excellent for beginners with an interest in Arctiidae, with a large “cute” factor (white wooly sheep-like larvae that live in groups!). Beware that the hairs may cause rashes and irritation if you are sensitive. This moth is rather easy to raise on a wide range of plants; the will like oak (Quercus), willow (Salix), bramble (Rubus), walnut (Juglans), Hickory (Carya) and a lot more plants in captivity. They seem to thrive in a variety of conditions and are strong in captivity. I myself raised them in closed plastic containers, on bramble. It should be noted that some people may experience skin irritation when rearing them, though I found them to be rather harmless myself – but if you are known to be sensitive to hairy larvae, do take precaution. The adults of Lophocampa caryae. Due to their small size and social behaviours, it is easy to raise this species in very large numbers with relative ease. This species overwinters as a cocoon and has only one generation in nature, but from my experience the moths emerge regardless if you keep these cocoons warm. In fact you can probably breed them in winter too, if you happen to find some winter-green host plants they are willing to feed on. Pairings should be attainable in a medium sized cage. The adults do not feed and only live for a short while. I myself reared them in plastic boxes and they seemed to do fine, but if rearing them in such poorly ventilated conditions, make sure the humidity is not too high, as to avoid infections and pathogens growing in the plastic boxes. Keeping them clean is important if keeping a large group of social larvae. Breeding this species feels like herding sheep! The wide range of host plants they will feed on combined with the fact they have to potential to breed all year round, make this species a good one for beginners.